Te Pae will be a world class conventions and exhibitions facility supported by accommodation, retail, hospitality and public transport. In a competitive environment where convention centres around the world are expanding their capacity to accommodate larger events, Te Pae will be a boutique facility, set in a well organised and compact, regenerating city. Te Pae (pronounced te pie) references a gathering place in Te Reo. Christchurch lacks appropriate convention facilities which limits the city's tourism potential, economic activity and diversity. The city's share of New Zealand's 'business event' market has dropped from >20% pre-quake to less than 10% now. As a result, ChristchurchNZ estimates we are currently missing out on more than $90m of direct economic investment every year. This new facility is significantly larger than the former convention centre and will be able to accommodate two or more simultaneous events. Ōtākaro is responsible for the design and construction of the Te Pae. It will also work with parties interested in development opportunities for the remaining land in the precinct. Te Pae is scheduled to open in October 2020. CPB Contractors Limited has been appointed as the Main Contractor. Te Pae was designed by Woods Bagot in conjunction with Warren and Mahoney. Te Pae is being funded by the Crown. This Grand Narrative (10M file) documents the Ngāi Tahu values, customs and traditions relevant to Te Pae. Ōtākaro Limited has appointed AEG Ogden, a leading venue management company in the Asia Pacific region, as the operator for Te Pae Christchurch. One year on from the first concrete being poured for Te Pae, Christchurch’s new convention and exhibition centre is taking shape. A virtual tour around the outside of Te Pae is now available to assist with the international marketing of the convention centre. Te Pae has been selected as the official name for the Christchurch Convention Centre opening in 2020. The heaviest crane lift to be undertaken as part of the Christchurch Convention Centre’s construction has been carried out today. 113 metre long comic strip brings elements of Christchurch's past and future to life. Construction is underway on the Christchurch Convention Centre with the first concrete being poured for the foundation. The Government has awarded a $240 million contract to complete the design and construction of Christchurch Convention Centre. Outline plan for urban design and landscaping around the Christchurch Convention and Exhibition Centre. Ōtākaro Limited has today released preliminary design images of the Convention Centre which show how it will enhance the heart of the city. The section of Gloucester Street running through the Convention Centre site will soon be removed as the next stage of earthworks gets underway. Substantial earthworks are now underway on the Christchurch Convention Centre site. The section of Gloucester Street between Colombo Street and Oxford Terrace will be permanently closed from next Friday (5 August) to allow initial work to begin on the Christchurch Convention Centre. 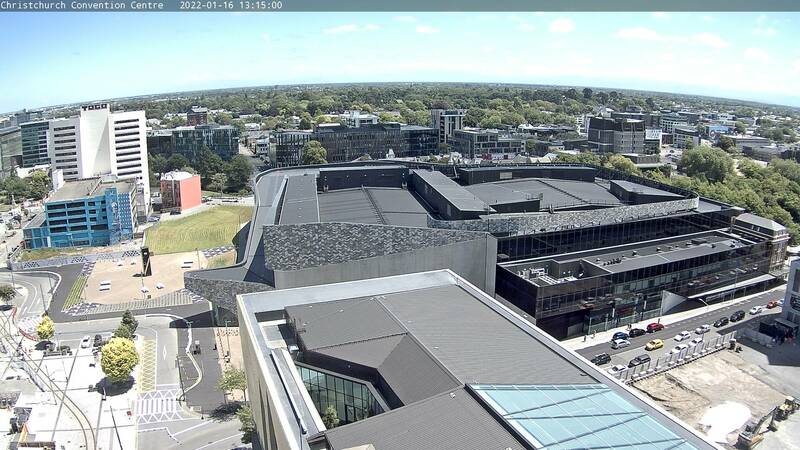 With early design and master planning stages successfully completed, Ōtākaro Limited is looking forward to taking the lead in an exciting new phase for Christchurch’s Convention Centre.